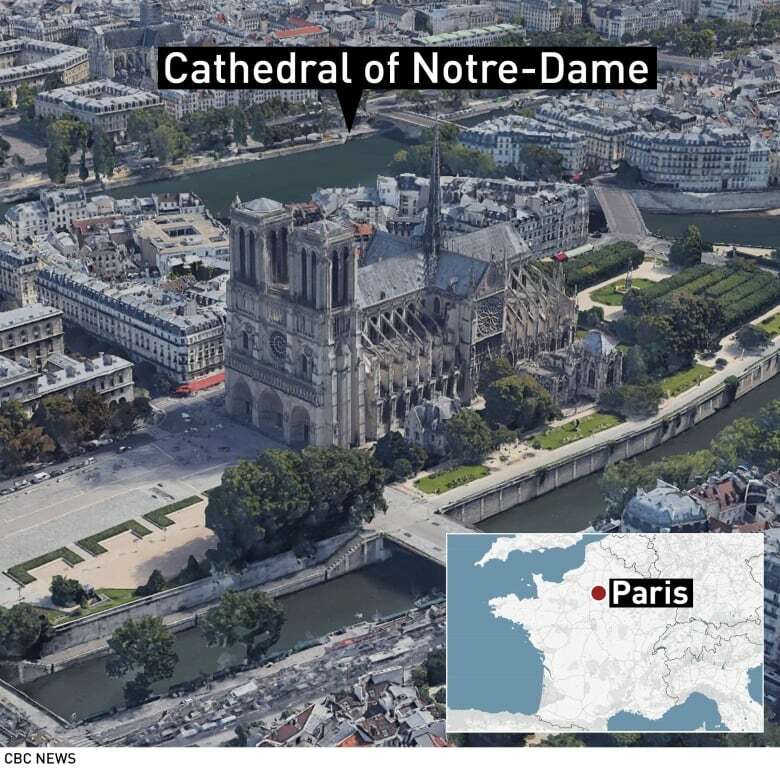 A French official and the Paris fire chief say they think Notre-Dame Cathedral’s landmark rectangular towers have been saved from the fire that caused horrific damage. The cathedral went up in flames on Monday in a roaring blaze that devastated the Parisian landmark, a huge loss for the city and for France. Gallet says two-thirds of Notre-Dame’s roofing “has been ravaged.” He says one firefighter was injured. The mayor of Paris says people who live near Notre-Dame Cathedral have been evacuated. The Paris prosecutor’s office says investigators are treating the blaze that destroyed part of Notre-Dame as an accident for now. They have ruled out arson in Monday’s fire, including possible terror-related motives for starting the blaze. The cathedral, which dates back to the 12th century, features in Victor Hugo’s classic novel The Hunchback of Notre-Dame. It is a UNESCO World Heritage site that attracts millions of tourists every year. “I have a lot of friends who live abroad, and every time they come I tell them to go to Notre-Dame,” said witness Samantha Silva, with tears in her eyes. 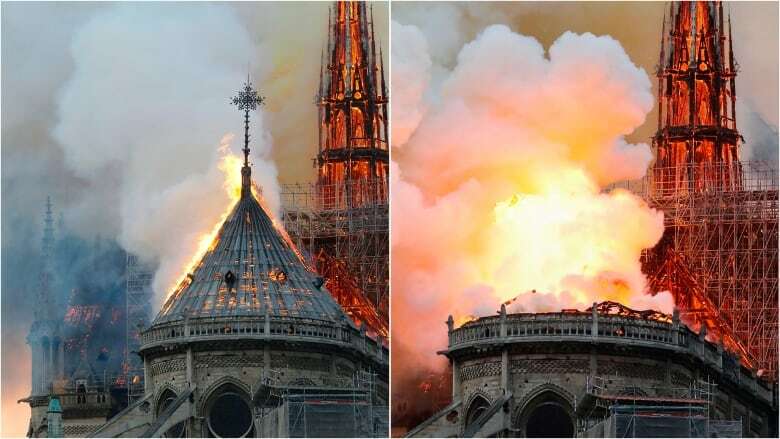 Its 100-metre-long roof, of which a large section was consumed in the first hour of the blaze, was one of the oldest such structures in Paris, according to the cathedral’s website. It was ransacked by rioting Protestant Huguenots in the 16th century, pillaged again during the French Revolution of the 1790s, and left in a state of semi-neglect. Hugo’s 1831 work led to revived interest in the cathedral and a major “partly botched” restoration that began in 1844.